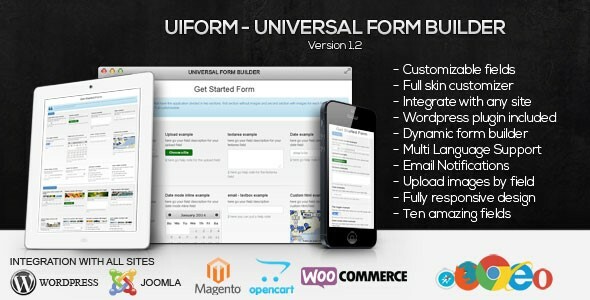 Universal Form Builder v1.5 - CODELISTPRO | Free Premium Scripts, Plugins, Apps Source Code. Universal Form Builder is a script which can create amazing forms. it can be integrated with wordpress , Woo Commerce, joomla, drupal, opencart, magento and any site. All through a widget code which is generated by the application. Also it provides an administration section where site admins can create custom forms, fields, custom skin, manage layout fields and all kind of editing operations. It’s really easy to customize and you don’t need programming skills.